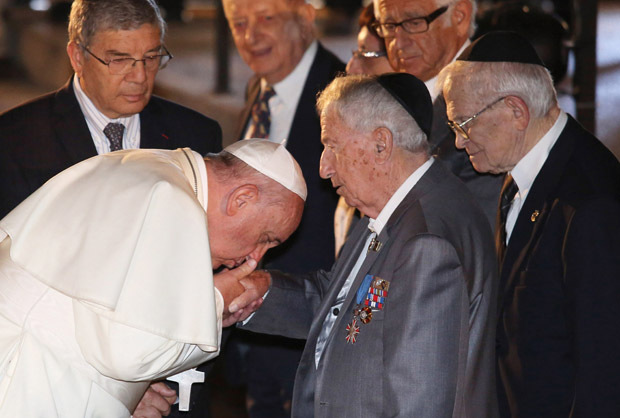 VATICAN CITY (CNS) — Jews and Catholics are “strangers no more, but friends, and brothers and sisters,” thanks to the “authentic fraternal dialogue” between the two religions since the Second Vatican Council, said Pope Francis. The pope held an audience at the Vatican June 30 with participants of an international conference, organized by the International Council of Christians and Jews. The pope noted that all Christians have Jewish roots, and that all Christians find their unity in Christ, just as all Jews find their unity in the Torah.